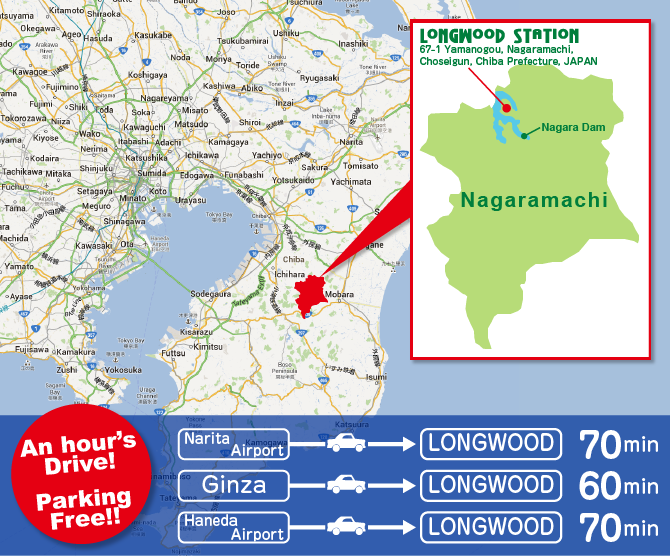 Longwood Station is one and only filming location with vast open field and good access from central Tokyo. Within an hour's drive from Narita Airport, Haneda Airport, and downtown Ginza. Plan to make a movie in Japan? OK for explosion! Vast parking area for 1,200 cars, enabling you to create a 21,000㎡ outdoor set. All areas and facilities are available for filming 24 hours a day, 365 days a year. Slide with artificial turf and Merry-go-round. Shopping mall with 30 furnished shops and food court. A culture room with a 10m wide mirror are available. How about shooting at an enchanting location site? This is the Location Site Directory for Longwood Station. Within an hour’s drive from Narita Airport, Haneda Airport, and downtown Ginza, no one would find such convenient shooting location. We offer advice on various shooting setup, scenes, and schedule. You may leave your outdoor set there for some time. Accommodation including hot meals from food court inside enables you to concentrate on the film making there. We are conveniently positioned in a one-hour drive from Narita airport, Haneda airport, and the Ginza area. This video will inform you of all you need to know about Longwood Station.